Product prices and availability are accurate as of 2019-04-19 17:08:24 UTC and are subject to change. Any price and availability information displayed on http://www.amazon.com/ at the time of purchase will apply to the purchase of this product. 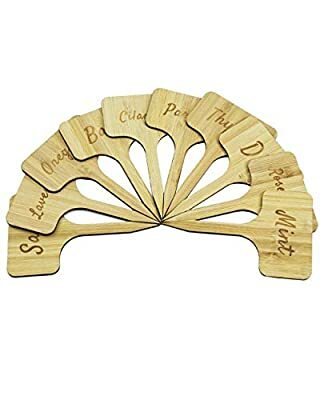 If you like your garden to be organized and attractive, these wonderful garden stakes do the job. 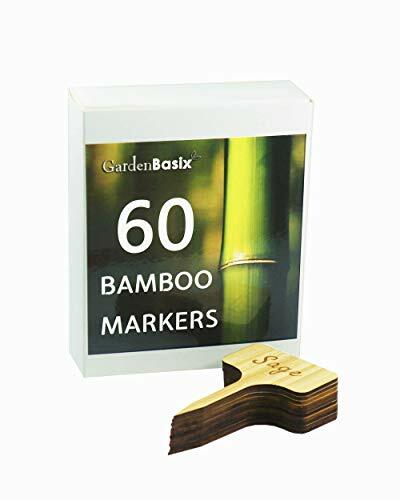 Each set contains 10 etched bamboo stakes that are big enough and clearly printed. Vegetables: Herbs: Parsley Rosemary Sage Thyme Dill Chives Oregano Mint Cilantro and Lavender. Makes a beautiful statement in your herb garden while keeping it organized and even educational. This 10-set of garden marker are perfect for your smaller potted herbs and windowsill gardens. 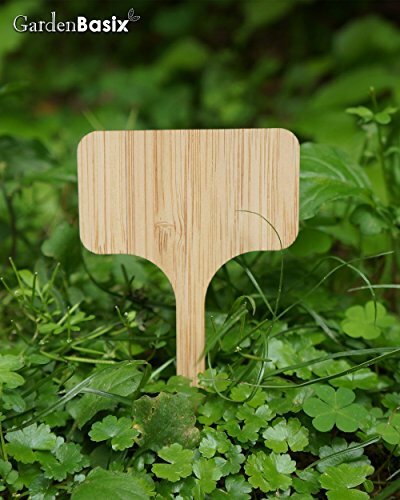 The stakes are simple and sleek, unobtrusively marking your herbs. Dimensions: 2.4 inches x 4 inches. 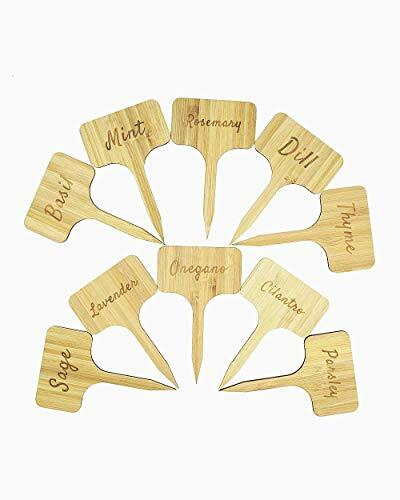 These bamboo markers measure 2.4" X 4" each and are permanently etched with easy-to-read herb names. Offered 10 of the most popular herb names: Parsley, Chives, Cilantro, Rosemary, Mint, Sage, Thyme, Dill, Oregano and Lavender. 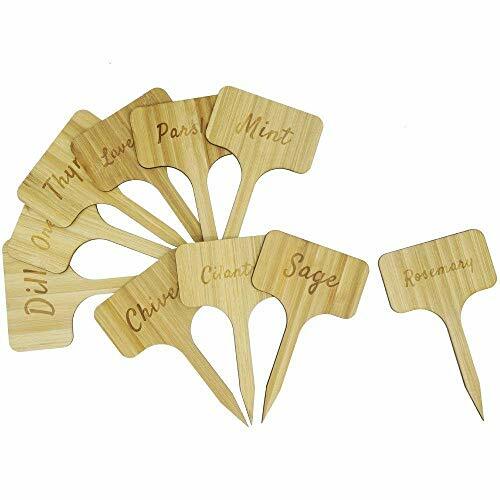 Brighten up your herb pots with these simple and classic etched plant marker stakes. Make your garden plant cute with this lovely plant tag. A cute decoration for your plant. 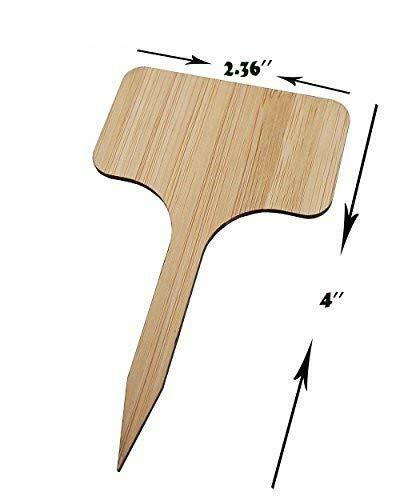 Great for your indoor herb garden, smaller potted herbs, and window sill gardens as well! Made of Natural Bamboo.